Would you avoid cake for the sake of anonymity? 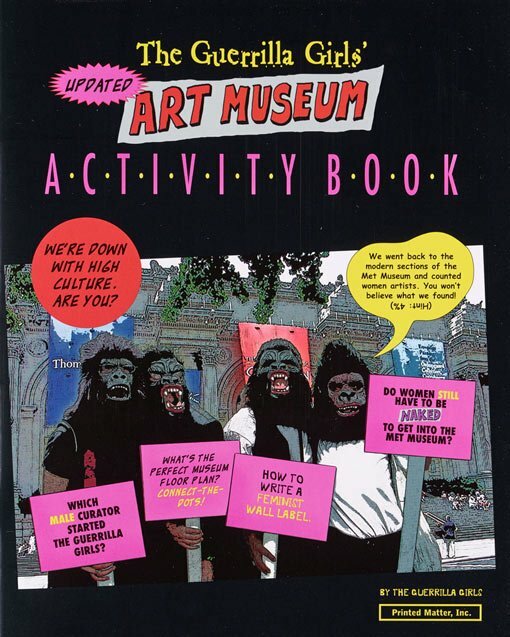 No, nor would I but it seems the Guerrilla Girls, those masked avengers of feminism, chose to forgo eating a cake celebrating their 30th birthday as it meant having to remove their masks in public! Now that is commitment to the cause. Maybe Art Gallery of NSW director Michael Brand knows the identity of the artists? 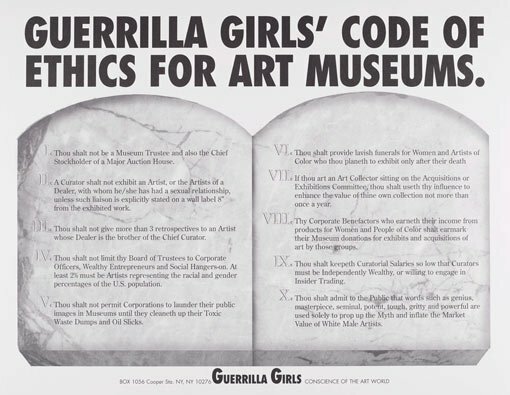 He has a signed print of their Guerrilla Girls’ code of ethics for art museums 1990 at his office door. Clearly he’s prepared to heed – or at least be regularly reminded of – their witty and incisive lessons in good corporate behaviour. In their ‘code of ethics’, art trustees are admonished against greed and conflicts of interest, and corporate benefactors against hypocrisy; boards are warned to take care how they are constituted, and curators are warned about the power of semantics. 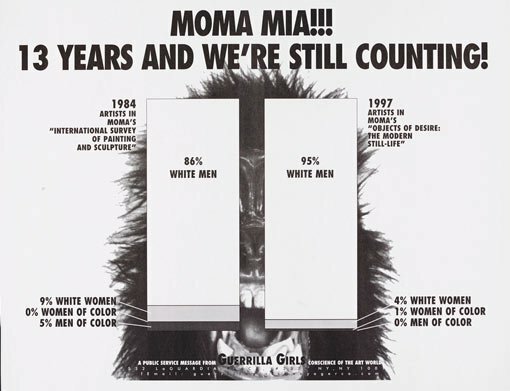 Yes, it’s been 30 years since the feminist heroes came together to protest the dismally unequal exhibition launching MoMA’s new building. When that important survey show opened with only 13 female artists out of 169, the Guerrilla Girls donned their masks for the first time. Since then they’ve created some iconic images – and the Gallery has just purchased a complete portfolio of their 89 pieces, printed in 2013 (including that code of ethics that’s really worth a read). The suite is a key part of our contemporary galleries exhibition See you at the barricades , which looks at the works, and nostalgic aesthetics, of protest and disruption. He added that: ‘As with other disruptive artists, the institutions once derided by the Guerrilla Girls, such as MoMA and the Tate Modern, all now own works by them!’ And now we do too. Fascinating twist: the consequence of major social change? Or the gradual assimilation of all forms of cultural resistance into the all-consuming art economy? Either way, their unceasing gorilla tactics are certainly something to celebrate. And if you feel like celebrating more trailblazing women, come by for our celebrity talk series in October in association with an exhibition of works by the pioneering photographer Julia Margaret Cameron.